One of the many things that makes AgDNA so special are our mobile services; field management, inventory, and automated activity tracking from your mobile device are part and parcel of our core functionality. 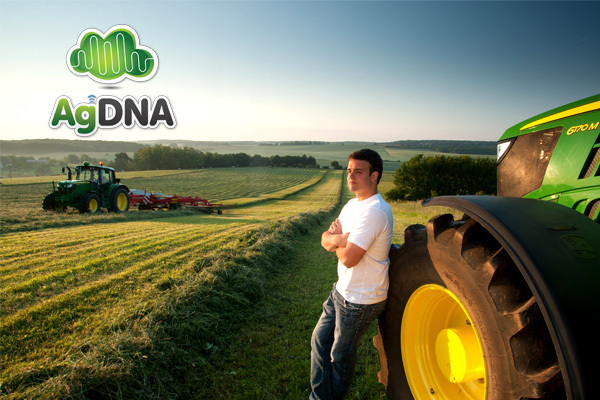 But many people don’t realize that alongside the mobile AgDNA App is AgDNA Online, a web-based control center that administers your entire farm from your desktop or laptop computer. The added bonus of your online account? More computing power means faster response times, more intricate maps, and an enhanced user experience with access to more data than your standard online services. Your Online MyFarm map isn’t limited by size, in fact, the map screen shapes itself to whatever screen size you happen to be working with. 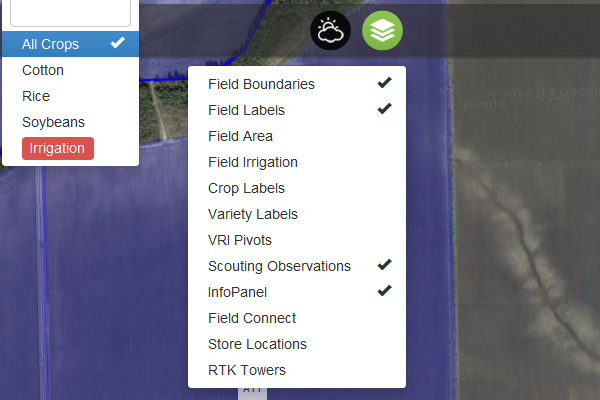 You’ll also notice your farm is color coded by crop types, and the added size gives you more flexible control to manage your activities and recording more effectively. The online environment also gives you more controls than your mobile app, although watch this space for an exciting update to your AgDNA mobile service as we very soon start to launch AgDNA V.3.0. 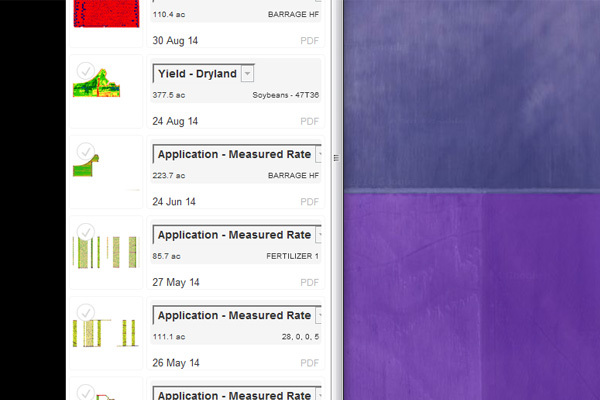 The Charts button is your online farming dashboard; from here you can get a 1,000ft view on all the agronomic data generated by your farm. View activity charts, see commodity prices, watch 24hr rainfall monitors, and view your entire week’s weather forecast with up-to-the-minute data from our partners at Weather Decision Technologies (WDT). Here you’ll be able to browse your entire activity history, and click on each item for more details. It’s a great way of visually organizing your entire activity list, and when utilizing linked accounts it’s a fantastic way of seeing what person is responsible for each task. 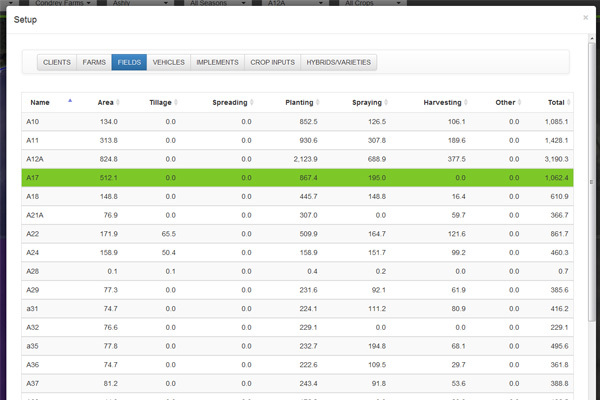 Add Agenda items to your online farm record so you’ll never miss any of your scheduled tasks ever again. Missing information on the map screen? Or maybe there’s too much? 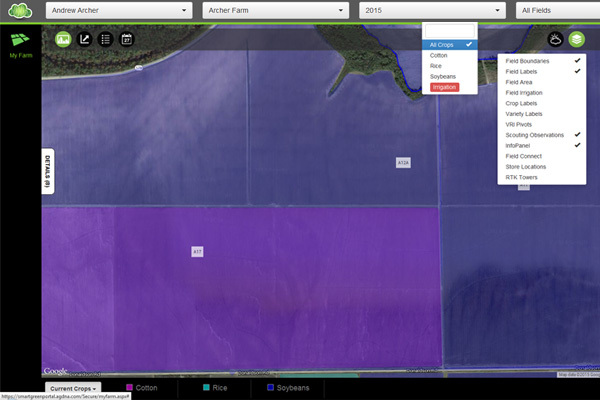 The Layers Button allows you to turn information that’s overlayed over the top of your maps on and off. In other words, you can make your map as complex or as simplified as you want. The Setup button is the master switch for your entire operation. Here you can view at a glance all of the separate information for all aspects of your farm, allowing you to view information without having to switch between farms on the ‘Farm Selector’ tool. Want to add new clients? Vehicles? Fields? RCD data? The Add button on the far right of the screen is the place to do it. 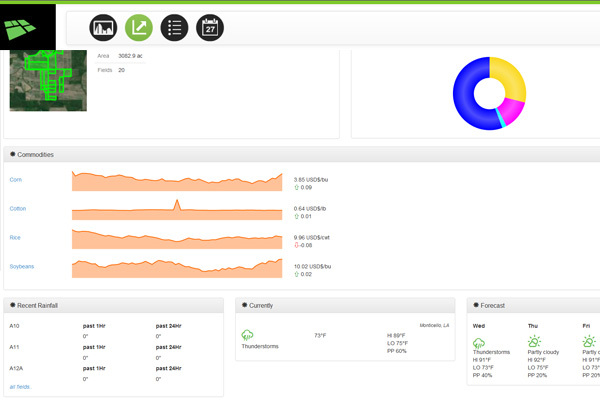 This is your toolkit for adding in NEW data into your system. Along with data and account information, you can add new machinery, implements, auxiliary devices and recording equipment and assign them to a particular location here. 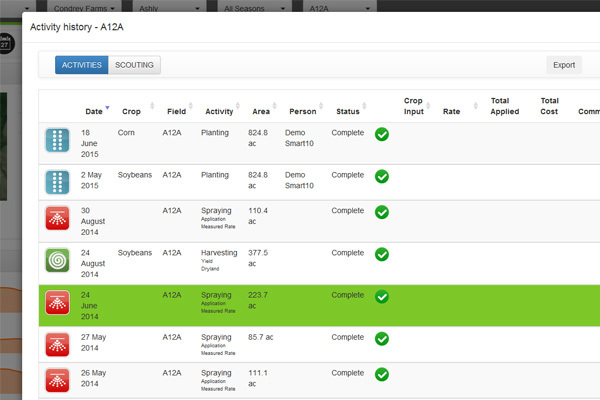 Navigating the details tab is the cornerstone of the AgDNA online profile – once the AgDNA app has finished recording your activities, all of the relevant data for that field will be automatically stored to your AgDNA cloud. Accessing that information is easy, and can be done so using the ‘Details’ function. We’ve created a little online tutorial that will help you understand this function more. What more can we say? To get the full user experience, just play around with your online account and get a feel for what the software can do for you. You’ll get the most of your AgDNA experience by using your mobile app in tandem with your online account: set up and record your activities in the field using your mobile app, and then track your overall seasonal progress using your online account. 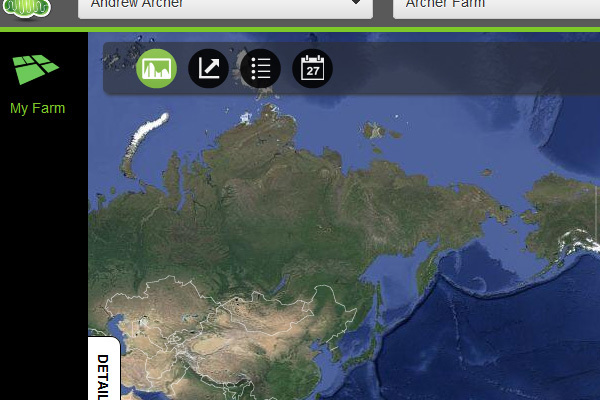 Accessing your account is easy, just visit agdna.com and hit the ‘Login’ button on the top right of the screen. This entry was posted in agriculture, crop, cropping, drones, farm, General, mobile, scouting and tagged agriculture, case, commodities, corn, cost, crop, cropping, crops, data, deere, dna, drone, farm, farming, gis, gps, growers, john, john deere, lessons, maps, market, mobile, precision, recording, scouting, spatial, strategy, success, technology, tractors, uav, yield by agdna. Bookmark the permalink.